If you're new to the world of medical marijuana, it can be hard to know exactly where to start. With so many options, how do you know which marijuana dispensaries offer the best product? We've done the hard work for you: here are our 10 favorite dispensaries for medical marijuana in Arizona. Valley of the Sun strives to provide all of their patrons, whether a patient or caregiver, with their full attention and support during each visit. The staff has expert-level knowledge of their wide range of products, including edibles, tinctures, topical products, and, as always, high-quality indoor grown medicine. At Swell Farmacy, locals love the friendly staff, high quality products, and great deals. Swell Farmacy offers gifts to new patients on their first not one, two, but three visits. In addition to their great deals and free gifts, there's a rewards program, too—so you can earn even more. How great is that? 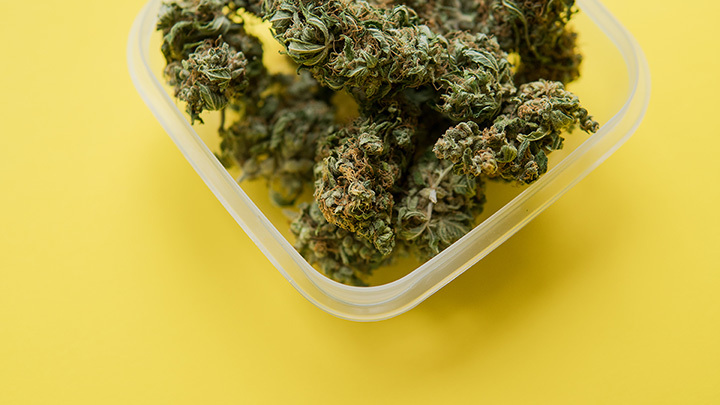 If Mint Dispensary prides itself on anything, it's their state-of-the-art facility, high-quality product, and friendly service that patrons have come to know, appreciate, and expect. And the free gifts for all new patients don't hurt, either! No matter how unique your needs are, Nova Dispensary has quality products for you—which extend far beyond the state requirements. If you're new to the medical marijuana game, Nova also offers "More Medical than Marijuana" classes which are geared towards educating new patients, so you can be a confident patient in no time. Per their website, the Glendale Green House boasts over 300 premium cannabis products—from in-house grown flower strains, handcrafted extracts, edibles, and much more. To avail of the many deals and specials at the Green House, patients can sign up for text and/or email notifications or follow the dispensary on social media. But veterans, AARP members, and seniors save 10 percent every visit. Locals know that Monarch Wellness Center is the place to go for medical marijuana in Scottsdale. After all, Monarch Wellness Center was the first dispensary in town, opening its doors in 2013. And since its inception, Monarch has been providing patients with the most trusted, quality cannabis available. Arizona Natural Selections works hard to ensure that patients feel comfortable in the healthcare driven atmosphere of their dispensary. Patients shopping at Arizona Natural Selections benefit from diverse strain options and the opportunity to become enlightened with the deep medicinal history that cannabis has carried with it for thousands of years. Stop by to become enlightened today. Arizona Organix has been around since the beginning. As the first licensed dispensary in the state, it's well-known for its clean environment, friendly, knowledgeable staff, and pungent, fresh flowers. Stop by, but don't forget to try their Papa's OG. Tru Med Dispensaries offers an inviting, clean, and modern environment replete with compassionate, experienced, and knowledgeable staff. Products are grown and produced in the dispensary's state-of-the-art facility and set the bar as far as quality, purity, and potency goes. Patients can avail of fresh flower, concentrates, edibles, and more. Harvest of Arizona serves patients in Tempe, Ahwatukee, Chandler, Scottsdale, and Phoenix with their seven locations. At each, you'll find medical cannabis products, MMJ card certifications and renewals, and a knowledgeable, friendly staff. To learn more about their Dream Steam vape pens and proprietary strain, Verde Electric, stop in today.